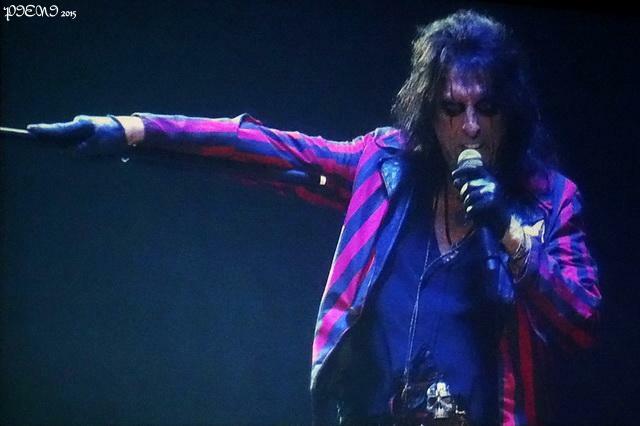 Third time I was seeing Alice Cooper, although first as a support act. Also first time I was seeing three guitarists in his band. Frankly, I can’t see the need of such number, but they didn’t mess the sound either, so fine by me. Opening track was “The Black Widow”, the Vincent Price monologue featured in it serving as the perfect intro – as if Alice wasn’t creepy enough on his own… I was surprised this was the only song from “Welcome To My Nightmare”, as 2015 marks the 40th anniversary of the legendary album. But then again, there’s only so much you can play in less than an hour, and still all of them were classics. 70’s classics, except for “Poison” (1989) and “Feed My Frankenstein” (1991), every single one of them sung along by more than 12.000 voices. Goose bumps guaranteed! 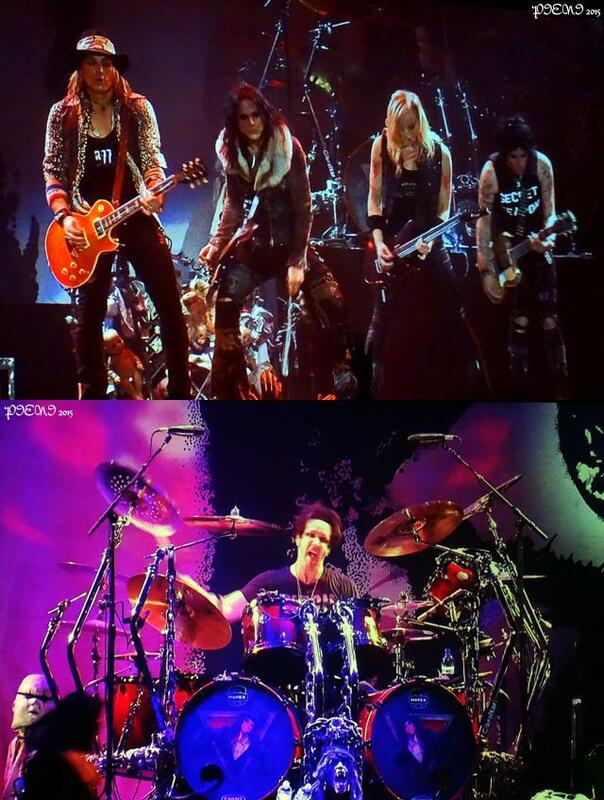 The theatrics may be the same, but being thrown dollar bills on “Billion Dollar Babies” never gets old. Or pearl necklaces in “Dirty Diamonds”. The boa on Alice’s shoulders at the beginning of “Go To Hell” (which wasn’t sedated, or at least not totally, as at some point it got so close to Alice’s mouth that he almost wasn’t able to sing). Alice being thrown into a steampunk machine and, after an explosion, getting out a monster version of him – with a matching voice resuming the lyrics of “Feed My Frankenstein”. Alice being played by nurse Rozetta, eventually getting free and trying to kill her, only to get stabbed and lead to the guillotine. And when his decapitated head is lifted by the executioner, bassist Chuck Garric asks if we love the dead – a medley of “Killer” and “I Love The Dead” being the soundtrack to these events. 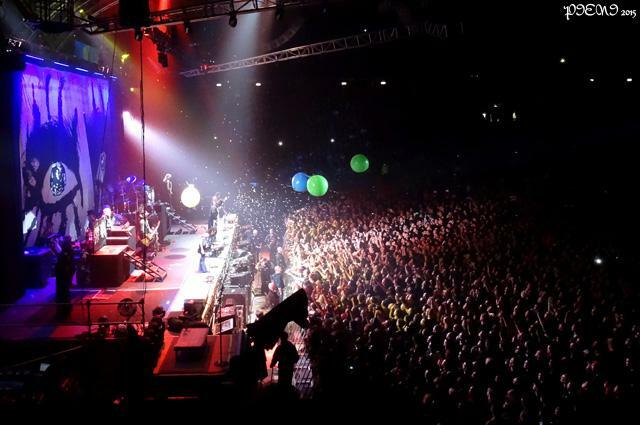 “School’s Out”, with the chorus of PINK FLOYD’s “Another Brick In The Wall” embedded in it, finished the show, while Alice introduced the band surrounded by soap bubbles. “Thrilling” doesn’t quite cover it. This entry was posted in Concerts and tagged Alice Cooper, final tour, horror show, legend, Mötley Crüe, Milan, rock. Bookmark the permalink.